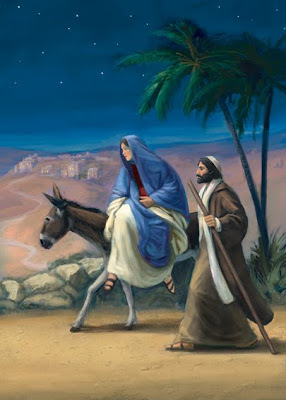 Nativity card design depicting Joseph and Mary's journey to Bethlehem. This one was quite a challenge - especially working out the lighting. Done in Painter IX and Photoshop.